What I Was Reminded of by Taking My Daughter on a Date - Financial Symmetry, Inc. 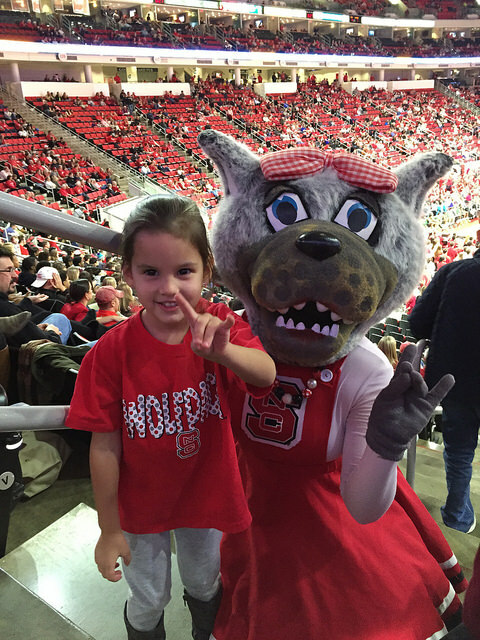 I was fortunate to take my daughter to her first college basketball game recently. Once she knew we would be going, her anticipation was hard to control. On the morning of the game, as all parents of toddlers know, her excitement was bubbling over. 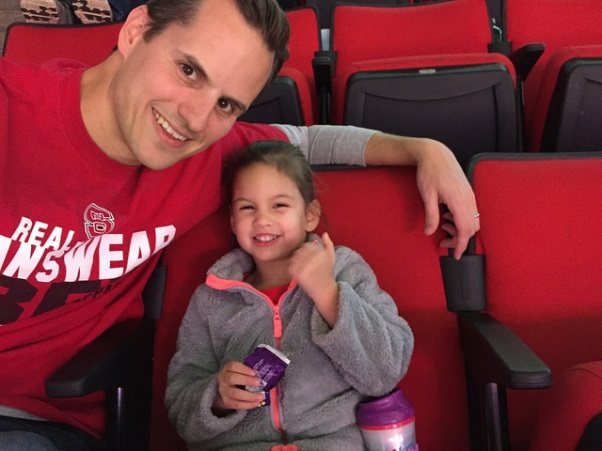 She continuously asked me “When are we going to the basketball game, Daddy?” as only a toddler can – over and over (and over again). But once we made it to the game, I found myself watching her more than the game. I didn’t mind her questions while we were there, in fact, I encouraged them. She was experiencing so many firsts all at once. The cheer after a made shot, the unified crowd chant of DE-FENSE, and the cheerleader stunts during timeouts. I, on the other hand, was experiencing a basketball game like I never had before. I couldn’t get as caught up in the game, as I cared more about watching her imitate the cheers with excitement. It was neat to see her enjoying something so passionately that I had enjoyed so many times before. Sharing this moment with her reminded me of how the timing of an emotion can lead us to feel differently depending on the season or environment we are in. Towards the end of the year we often are so busy during the holiday season, we forget about the potential opportunities we can take advantage of before year-end. In addition to deals you may be finding at stores, you may be missing out on bigger savings by not taking advantage of tax planning opportunities. Have you made annual Roth Contributions? Could you make extra charitable contributions? Does delaying property tax payments until after December 31 help? Should you make an extra mortgage payment this year? Do you know how the subsidy for Health Insurance affects your tax situation? Can you increase your retirement plan contributions to defer any taxes? The time of year is not always the catalyst. It may be that we begin to feel uneasy when certain investments in our portfolios are not performing as well as others. This makes us feel like we need to make a change often right before the tide is about to turn. Many people feel this way about foreign stocks today because of their relative underperformance compared to US stocks since 2007. With so many variables that can move in the short-term, we’ve found it most helpful to remain focused on the things we can control. That is taking advantage of known tax savings before year end and trusting long-term economic trends that are research based. It’s also remembering to soak up those moments where you are fortunate enough to experience the magic of seeing the world through a child’s eyes one more time!